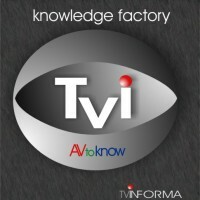 Tvinforma Audiovisual content System for digital television in the classroom. good day to all people! I give my life to keep him alive. News: Advertising and new workers. Reality show in digital home. Parintins´s island - Amazonas carnival in June. Who knew the announcement was given the opportunity to find an independent woman. Owner of a tropical island and a yacht of 25 meters. Drive a Mercedes Benz, is learning the Mediterranean cuisine and sushi. Earn the equivalent of $ 11 000 monthly. A dream of many years has only 264 hours to live. The dream is dying in my arms. Only those few hours I have left to try to make me survive. Find friends and Educational Foundation to keep alive and to help other generations to live better. I own only 264 hours. www.tvinforma. com www.tvinforma.tv need to be renovated. I am willing to give it all to an educational foundation or a group of people who share those values​​. I can only give my life to this project. Parintins, founded in 1793 and an island in the Amazon River, 400 km from Manus . Tupinambarana Island, as is known, was originally Tupinambás inhabited by Indians, and Sapupés Maués. Thanks very much to friend help my. Is very good, nice! Use elections to promise the poor to give them money, health and housing. Disrespecting the constitution. Bribe, corrupt, and using state assets for their own benefit.